The Tribeca Film Festival is back, totally making all those times some cocky production assistant stopped you from walking on your own damn sidewalk worth it. To give you a complete night-at-the-theater experience, we've paired up 10 of the Fest's most promising movies with thematically appropriate restaurants and bars. You should probably still get popcorn though. 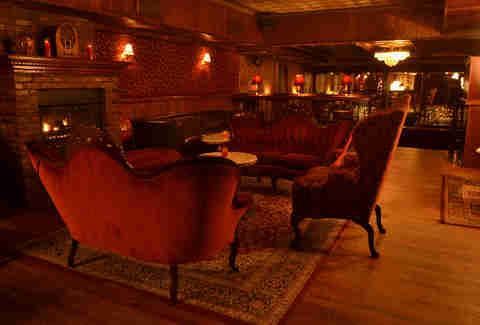 Why: Speakeasy Angel’s Share is the perfect spot in which to kick back after watching Adrien Brody’s supernatural thriller Backtrack, where he plays a psychotherapist plagued by nightmares and visions of the small-town mystery he left behind. And just like a small town, prepare for the evening to be... intimate. No groups of more than four people; they will kick you out. Be sure to order the Smoke Gets In Your Eyes, a cocktail that exhales the same creepy wisps you see behind Linda Blair during her tenure as hype-man for Scariest Places on Earth. Why: The film is set in an indeterminate future after an event called The Reset, when society is rebuilt around aging tech -- the two heroes must decode a cryptic message left behind on a creaky hard drive. Clearly, retro arcade games is a pretty good way to keep the nostalgia train chugging along after the credits roll. Why: After watching a flick about giant killer wasps, what better way to unload some aggression than by dining on their insect brethren at Black Ant? Yup, bugs. 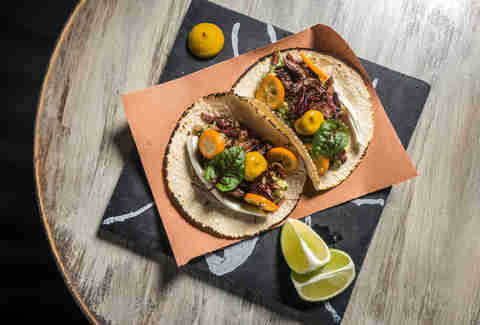 Take your margarita with a salt-and-ant rim or sample the shrimp taco with a grasshopper crust. Don't act like you haven't wanted to go in on some bugs since you saw those crawlies in The Lion King. Why: Thrill as the flick's subjects gear up classic American muscle cars for the first official race since the revolution. 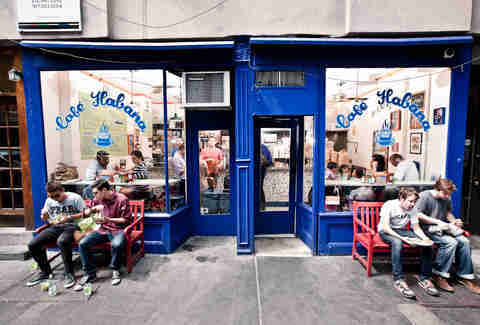 Then, head over to Habana for chili-lime corn and a Cuban sandwich. Or you can try one of the other things on the menu! 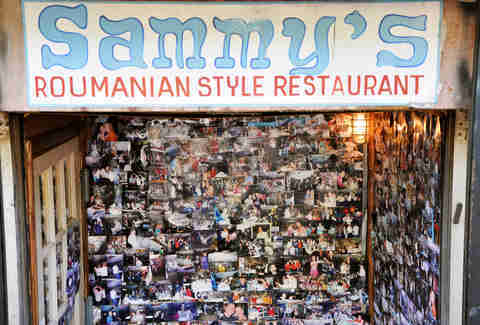 Who are you kidding, you're getting the Cuban. Why: Don't spend your evening lamenting loss after watching this documentary. 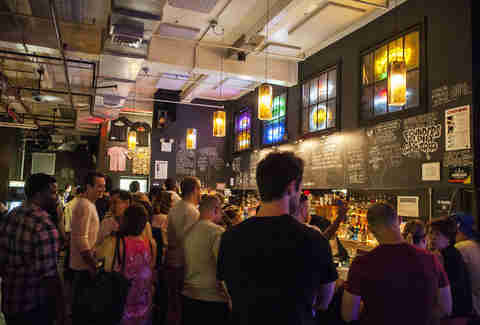 Hit one of the last rock bars standing in the city (seriously, they just keep disappearing) and prove you still rock with a 24oz can of beer + shot special. Why: Maggie, starring Arnold Schwarzenegger as a father whose daughter has been infected with the zombie virus, should awaken in you the urge to rip into giant slabs of meat at Sammy’s Roumanian on the Lower East Side. Wash that down with a Zombie cocktail at Cienfuegos, where the limit is one drink per person (they're serious). Afterwards, shuffle over to Amor y Amargo and see if Sother Teague can cook up an herbal cure for your plague-ravaged body. Why: Starring newly-minted Oscar-winner Patricia Arquette & Boardwalk Empire's Vincent Piazza, and executive produced by Martin Scorsese, The Wannabe is about a couple using the 1992 trial of John Gotti to up their own social currency in a neighborhood where being on top is all about the Families you know. 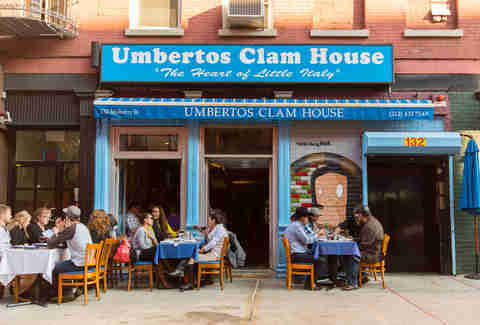 You can walk on over to a few selects in Little Italy that have real ties to some shady history -- like Umberto's Clam House, where gangster "Crazy Joe" Gallo was whacked at his 43rd birthday. Buon appetito! Before you start mapping out your cinematic and culinary tour of the Tribeca Film Festival®, don't forget to score your tickets. Pro tip: American Express Card Members can get early access to ticket purchases before the mad rush, now through April 5th at 10:59am Eastern Time. After that, you're on your own. 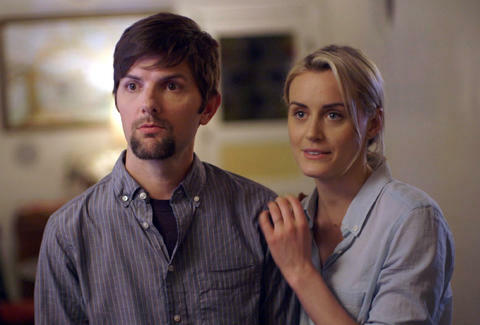 Why: Adam Scott (Parks And Recreation) and Taylor Schilling (Orange Is The New Black) star in this movie about a children’s pizza party/sleepover gone raunchy after the kids go to bed. How raunchy? Prosthetic man bits happen! And Adam Scott has a goatee! 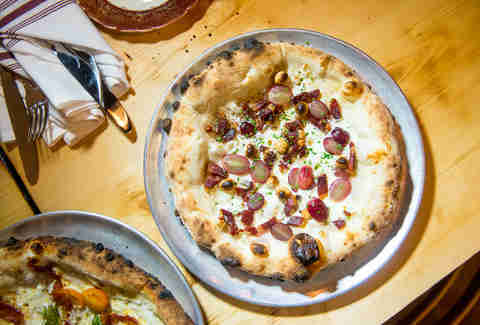 After, head to the pizza speakeasy, which is almost cloistered enough to do things you'll never tell your kids about in. Be sure to get the password or getting in will be tough. Why: DJ Z-Trip spins live during this newly restored silent film from 1928 in which Harry Lloyd plays a die-hard Yankees fan hell bent on saving New York's last horse-drawn trolley. Babe Ruth makes a cameo, which is totally cool. 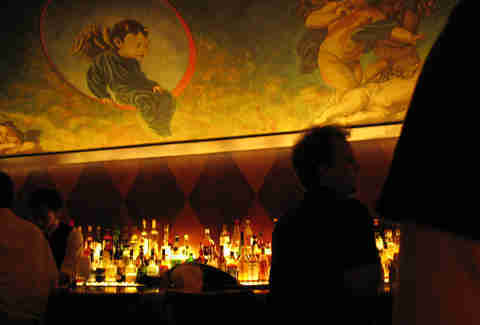 After, make your way to The Backroom, because it's one of the only speakeasies that operated during Prohibition that's still kicking today. Get your teacup finger ready. Why: Fro-yo shops come and go, but Saturday Night Live isn’t going anywhere. This documentary is a look back at the show's early years and its subsequent evolution into a star-making powerhouse. 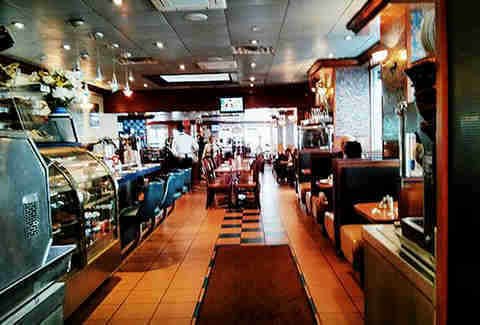 Sort of relive John Belushi's Olympia Cafe sketch at the Viand Cafe, just a few blocks away from the Beacon Theater. 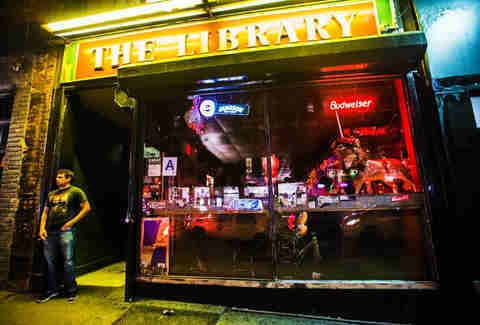 Also FYI: the east-side location of the 24hr Greek diner is Michael Bloomberg's favorite restaurant.